There are 36 fully serviced RV sites with city water, sewer, and 30 amp power. Sites 19 - 27 are pull-through sites. Each site has a fire pit and picnic table. There are two separate RV park areas. 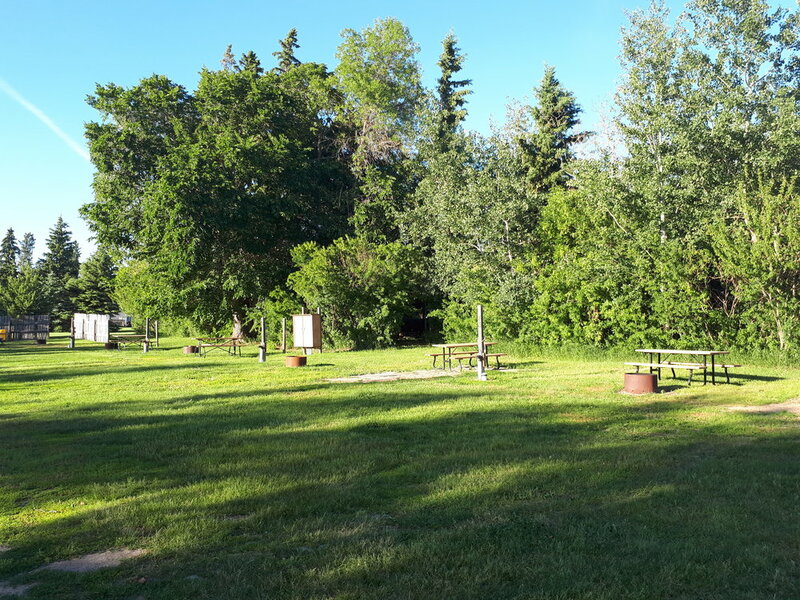 Sites 1 - 18 are close to the campground entrance and sites 19 - 36 are further back on the property. Pets are welcome on a leash in RV site area only, but no more than 30 lbs. and must be picked up after. Check out by 12:00 p.m.